allgigs have teamed up with the UK's most sought after festival,  Festival No.6, to offer one lucky reader a pair of tickets. Festival No.6 is a pioneering festival concept bringing together music, arts and culture in the most stunning festival location you will ever see. 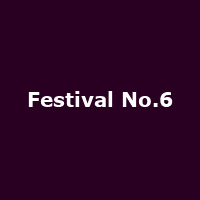 Festival No.6 takes place over the weekend of 5-7th September, 2014 in the eccentric surrounds of Portmeirion, Wales, home of the cult TV series The Prisoner. The line-up includes Pet Shop Boys, Beck, London Grammar, Bonobo, Neneh Cherry, Jon Hopkins, Martha and the Vandellas, Laurent Garnier, Todd Terje and many more. Also present will be  a diverse range of arts and cultural acts including Charlie Higson, Rhys Ifans, Henning Wehn, Josh Widdicombe and many more. There will also be Michelin-starred food stalls, carnivals, cinemas,  secret parties  and plenty of other surprises. For your chance to win a pair of tickets at the UK's most talked about festival, click on the "Enter Competition " button, below, before midnight on Friday 20th June.